This cucumber water recipe was brought to you by my scorching hot Carolina summer. When you sit outside in the heaviness of southern heat and humidity, you tend to contemplate the possibility of a cool, refreshing beverage. That’s where cucumber water comes in. What I found was more than a delicious drink, though. Cucumbers are packed with benefits that make this beverage all the more welcome in my life. Plain water, move on over. The cucumbers have arrived. Cucumber is rich in the mineral silica, which helps your body build strong, healthy hair and nails. Cucumbers are rich in vitamin C, minerals like magnesium and silica, and antioxidants that support healthy, youthful skin. These nutrients soothe inflammation and promote healthy connective tissue (i.e. skin and joints). Hydration is also important for healthy skin, and drinking water with cucumber makes it easy to stay hydrated. Of course you’ve heard the saying “cool as a cucumber.” This may not be just figurative. In ancient Chinese medicine, cucumbers are considered a cooling food that helps rid the body of excess heat. 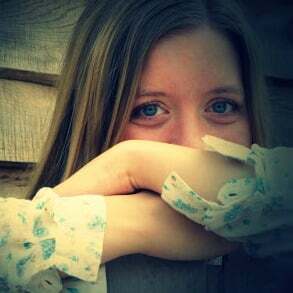 They also combat irritation and inflammation. It helps you stay hydrated. Let’s face it: plain water is sometimes a little… boring. We all need motivation to stay hydrated, and this refreshing recipe does the trick. Plus, I added a pinch of sea salt to this recipe to help promote balanced hydration. (Read more about why this is important in my book The Nourished Metabolism). It’s a healthy replacement for sugary beverages. You know me, I don’t bash sugar. It can even be a good thing in moderation. But drinking massive amounts of beverages filled with sugar and zero nutrition is not really what I call moderation. I drink a soda made with real sugar on occasion, but it’s not a daily thing. There are healthier ways to hydrate, and cucumber water is one of them. I don’t know about you, but we’re on a budget and nourishing food takes up a big chunk of it. No point in spending my food budget on a cartload of drinks in plastic bottles. Cucumbers are super inexpensive, even if you buy organic (you might be able to get a really good deal at your local farmer’s market, too). 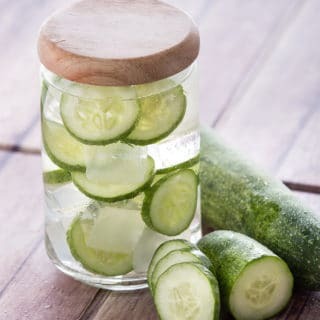 Two cucumbers can make a quart of cucumber water, so a little goes a long way. It’s lovely to serve guests. Cucumbers contain a compound called cucurbitacins, which have shown promising benefits in the fight against cancer. The research into cucurbitacins is relatively new and more studies need to be done, but the results so far look positive. How long is cucumber water good for? Cucumber water will stay fresh in the refrigerator for about 3 days, so it’s best to make a batch you’ll drink within that timeframe. Do I peel the cucumbers first or leave the peel on? It doesn’t really matter. As long as you clean the cucumbers well and slice them thinly, the peel is fine to leave on. 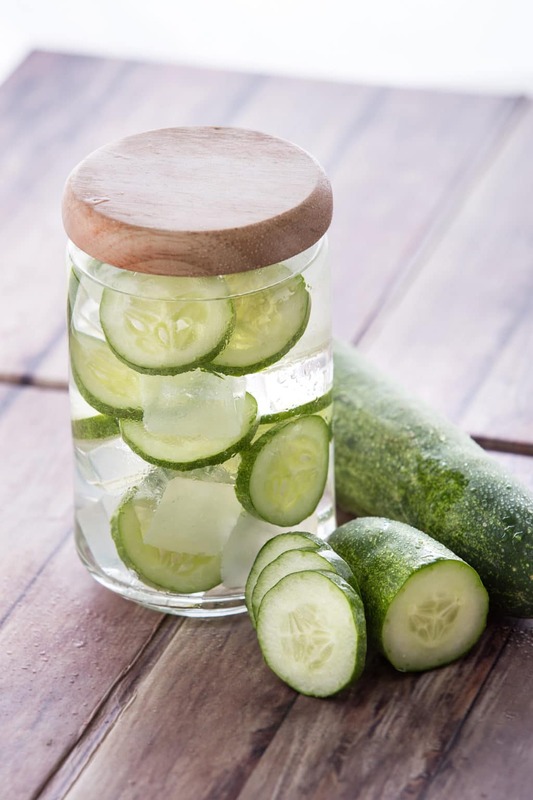 The benefits of cucumber water include healthy skin, hair and nails; as well as electrolyte-rich hydration to cool you on a hot summer day! It’s easy and in expensive to make this cucumber water recipe. Add cucumbers and sea salt to a large pitcher or jar. Refrigerate for at least four hours or overnight to infuse flavors. Keep refrigerated. Drink within 3 days. Cucumber-Lemon Add 1-2 lemons, thinly sliced. Cucumber-Lime Same as lemon, but with the zip of lime flavor (I love lime!). Refreshing Mint Add 10-12 sprigs of fresh mint. Mint is especially cooling for the summertime. Cooling Mojito Combine the mint and lime for a mojito flavored cucumber water recipe! Pink Raspberry-Cucumber Add 1 cup of fresh raspberries. You can use other berries as well — blueberries and strawberries are both great choices, too. Making this recipe?I’d love to see it! Snap a pic and tag @livingthenourishedlife in your Instagram post or story, and add hashtag #livingthenourishedlife. And don’t forget to leave a star rating here to let me know what you think.